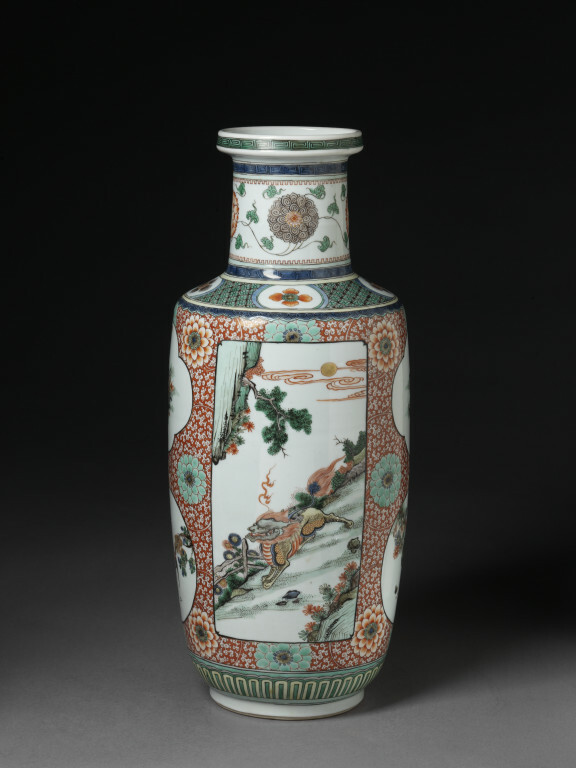 Vase of porcelain. Club-shaped. Painted in three shades of green, red, yellow, manganese-purple, blue enamel and black. 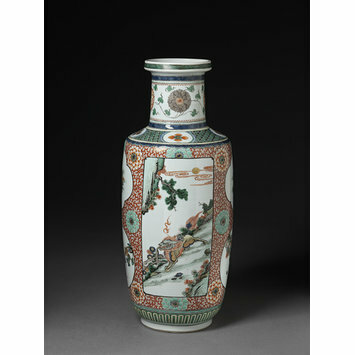 Round the body, six panels reserved on a ground of peony scrolls. Two large rectangular panels each contain a qilin; between them are four smaller panels, containing alternately: i) a butterfly; ii) a bird on a branch and the signature zhu ju. On the shoulder trellis diaper with floral panels in reserve. Lotus scrolls round the neck.